Dr Binoy is very patient and quick in responding to patient’s needs. He is very affordable and efficient in shipping medicines especially to patients abroad which Homeopathic treatments are very expensive and very hard to find well experienced practitioners. He is approachable through emails or by phone even though he has a very busy schedule with clinic and teaching. I would highly recommend him to my friends and families. Great Experience with Dr Binoy Vallabhassery, I feel that I can drop my guard and trust the advice that I’m getting. Dr. Binoy Vallabhassery has been treating me and my family for all seasonal flu’s for the last 20+ years. Before I knew him, I used to go to modern medicine doctors every time I had a cold or cough and was prescribed antibiotics, now I realize those were almost always unnecessary. Sometimes I developed allergic reactions to medicines, and the doctor will prescribe another strong medicine that always made me weak. My immunity was so low I used to get every cold and cough anyone around me had and it took a long time to recover. But once I started seeing Dr.Binoy my recovery was quick and my immunity also got a lot better because I was not pumping unnecessary medicines into my system. These days I get a cold at most once a year, even then it doesn’t get severe. And if it does, I know where to find the doctor! I also appreciate how inexpensive homoepathy is compared to modern medicine. Very affordable and effective and almost no side effects. I recommend because my daughter was treated for her skin ailement, the skin is fully healed. Thanks Dr Binoy Vallabhassery. I am very happy to write a review about this wonderful and very knowledgeable doctor I have seen in my life. He has lot of patience with people. And his approach is very simple and straightforward. I like the way he explains about the diagnosis and remedies. 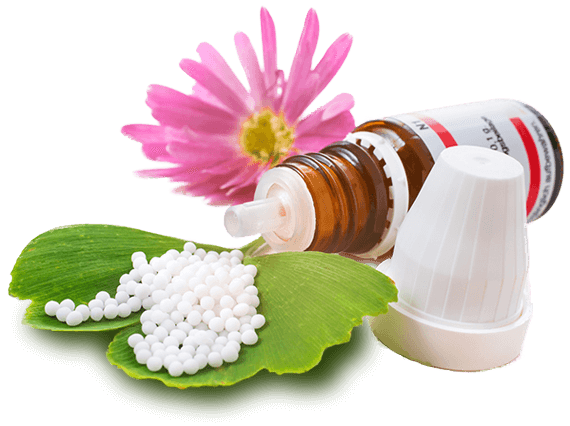 In last two months me and my son were following his prescription and I can say he is the best doctor in homeopathy. I seen a lot of homeopaths in last few years but all the time having lot of issues with follow up, but with Dr.Binoy is very well responds to my emails. I am almost cured my severe acid reflux. This review is not fake, I am helping these kid of doctors do wonders for many more people in future. God bless him and his family with everything. We are very much happy to follow his guidance for my son and he is special needs kid. Highly recommended! Dr. Binoy is highly knowledgeable and patient and helpful. A conveniently located and well appointed clinic with courteous and friendly staff. If you recall, you have prescribed for me remotely at the beginning of this year, for which I thank you. As it happens, I will be arriving in Kerala at the beginning of August, and I will be staying in Kerala until Jan 2007. As I know that you are based in Kottayam, I would like to come and visit you at your clinic and express my gratitude in person. Please let me know if this is agreeable to you, and please indicate a time of the month when it would be OK for me to visit you at your clinic. I will be arriving in Trivandrum on the 4th of August, and I will probably need around a week to adjust to the new timezone. The remedy picture for Staphisagria which you sent is an uncanny match for me. I salute the level of insight with which you were able to match this remedy to the relatively few answers I gave in the online form. It’s quite amazing, actually. I do think that you have made a real discovery for me. I congratulate and thank you for your excellent homeopathic investigation and synthesization. Just reading the remedy picture has given me much, a level of self-understanding I did not have before. I’ve wrote you I would like to make a donation to your research foundation. the same possibility I had. The money i am going to send is going to be in Canadian $. God Bless all your efforts on Earth and you are God’s gift to the world!! lot from, even though I am more of the lurking type………..
Nada Girzik Augusta Brauna 6 71000 Sarajevo, Bosnia. Thank you very much for your kind attention. I am the daughter of Nada Girzik and she thanks you very much. The picture of Calcarea Carbonica suits her very well, excellently that is. Thank you, Dr. Binoy. Since I was the one who did the translation for her, she asked me to send you my submission too. I really do not know what else to say but a big thank you for doing this. I am amazed! The Staphisagria picture fits me in each and every aspect, like a glove! I cannot believe my eyes! entire being in the Staphisagria picture. Unbelievable! How on earth do you do that !?!? Dear Dr. Binoy, thank you. My mother sends you her warmest regards and I do too. You have got me down pretty good especially for the siatica on left side and the pain in left ovary although I never thought of it before. Don’t worry about the “late” answer, just grateful to have some answer!!!!!!!!! Many Many thanks, just a coincidence but I am reading “A Fine Balance” do you know it??? It is about India. If you would be so kind as to send detailed drug picture of it and also an idea of a substitution in case I don’t have Lachesis or cant get it. How can I repay you!!! call it a day and we were glad to see the diaper loaded in the evening. I have got some really good news for you. Dear Dr. Binoy, thank you very, very much. My mother says she has no more pains. Everything else was very precise, i was surprised but that is what differed. I am very sorry this letter of mine is so low spirited, you deserve much better – because really, truly and honestly the improvement in my entire health and well-being is ENORMOUS. Thank you. How are you? I have got some good news for you and some not so good. I shall start with myself as there’s not much to say. I’ve been very well. The last time I wrote to you was the last day I had those panic attacks. transparent and copious), he is sneezing occasionally and this morning he has started coughing. What do you think? take another dose because she feels that you and homeopathy have helped her. old. We are very worried about Ranjit and we really appreciate your help. Thank you again for your most valuable advice. Oh! What a prompt reply !!. Shall get back with feedback as early as possible. for me at the time, however. lots of natural juices. I am also lactose intolerant (so no more dairy). digestion up and running again.